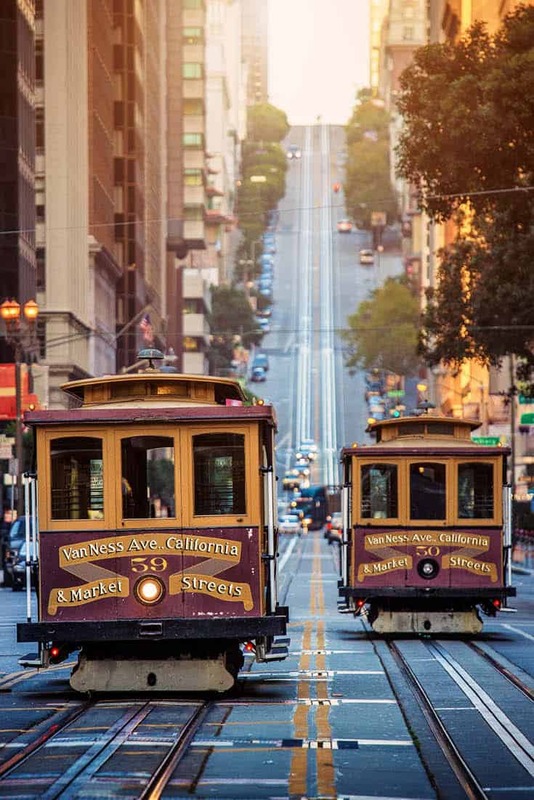 48 Hours in San Francisco: An Awesome Two-Day Itinerary – Discoveries Of. Planning a short jaunt to ‘Frisco? 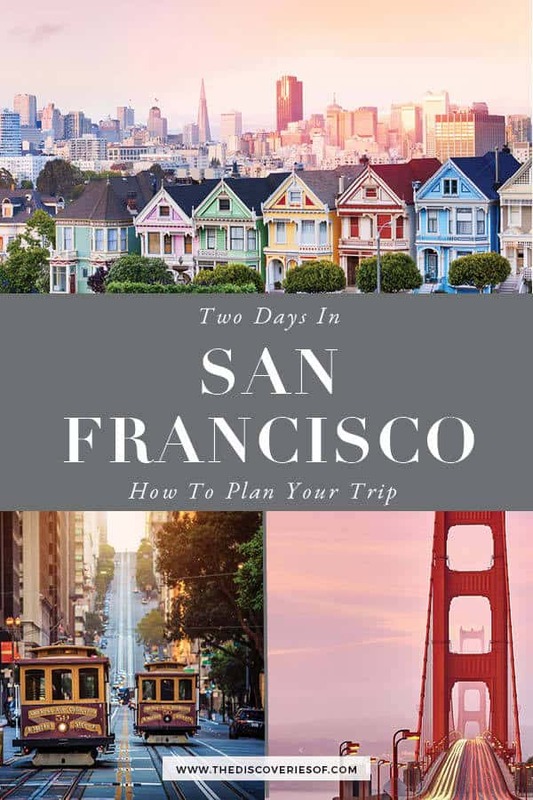 I’ve got you covered with this step-by-step guide to planning the perfect 48 hours in San Francisco. 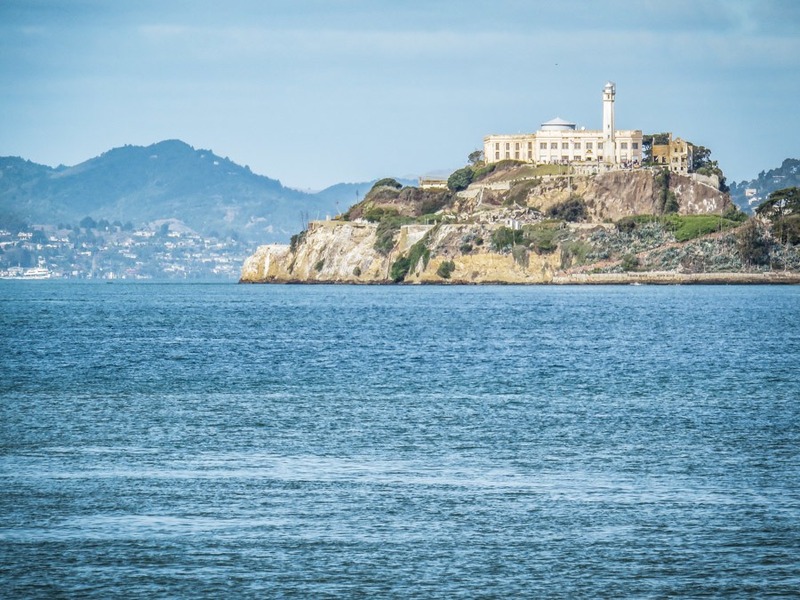 Your awesome San Francisco itinerary for two days. Heading to San Francisco? Are you excited? Of all the major US cities that I’ve visited, I have to say San Fran is my personal favourite. A city that lives up to the (huge) amount of hype, it’s the perfect destination for a short trip. Two days in a big city is a tough gig – there’s so much to do and see that it can be overwhelming. 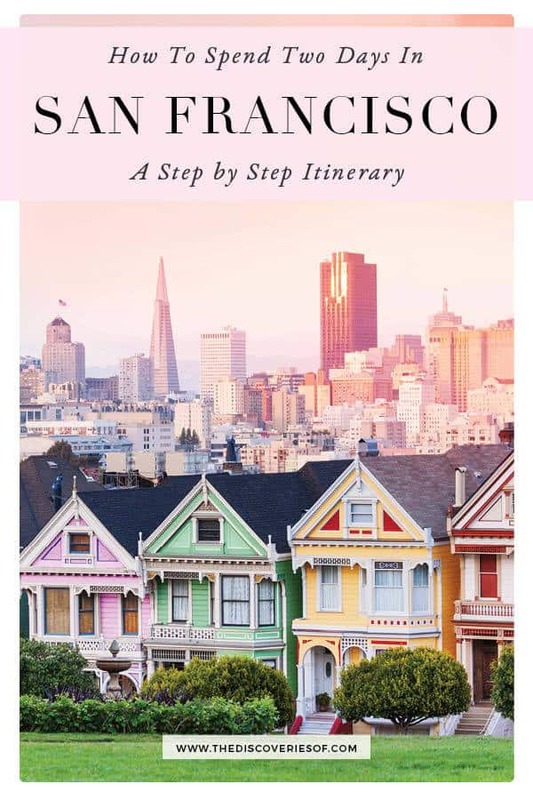 No fear – this step-by-step guide to spending 48 hours in San Francisco, created in partnership with Expedia.com, will have you planning the perfect trip in no time. For places to stay, visit Expedia.com San Francisco hotels. Should I Tour San Francisco in 2 Days? So it’s day one of your 48 hours in San Francisco, you’re fresh and raring to go… or at least I hope you are. Put on some comfortable walking shoes, you’re going to need them. Whether you’re a shopping person or not, you can’t visit San Francisco without swinging by its pulsing heart, Union Square. 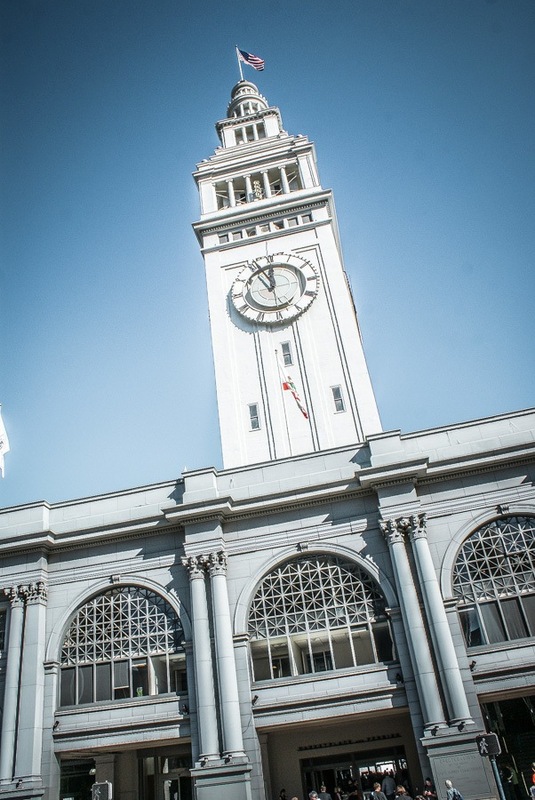 It’s the perfect spot to start your 2 days in San Francisco itinerary. The square takes its name from the Thomas Starr King rallies that took place here during the Civil War, but these days it’s all about the bright lights and the big shops. Union Square is kind of what Times Square is to New York, but a little more low-key. It’s also home to Macy’s, Bloomingdale’s and Saks Fifth Avenue… just don’t spend all your money at once. Chinatown is (along with The Mission and Castro) totally one of my favourite neighbourhoods in San Francisco. While it’s ensconced between North Beach, Union Square and Nob Hill, a walk through Chinatown is like walking through a completely different city. It’s the oldest Chinatown in the USA – be sure to stop off at the Golden Gate Bakery for some stellar egg custard tarts, or pop into the Golden Gate Cookie Factory for a peek (and a taste) at how fortune cookies are made. Who are the Beat Poets? Do the names Allen Ginsberg, Jack Kerouac, Philip Whalen or William S. Burroughs mean anything to you? I bet they do. The Beat Poets or Beat Writers embodied a literary movement that rejected the standards of the American Dream in favour of a more eclectic, experimental and (ahem) sexual life. Whether you love them or hate them (personally, I’m not a fan of Kerouac’s’ work – Big Sur’s kind of cool but On the Road is grating), you should head to City Lights Books. It was one of the poets’ hangouts and still a landmark indie bookstore today. Not sure what you want to eat? Head to the Ferry Building. A tri-weekly Farmer’s Market (on Tuesday, Thursday and Saturday mornings and early afternoon – hopefully one of them coincides with your 2 day trip in San Francisco) and a host of small restaurants and eateries are guaranteed to tempt you. I’ll confess that I LOVE oysters, so I can never resist popping into the Hog Island Oyster Company and gorging on their super-fresh raw oysters (washed down with a glass of crisp white of course). However, there are plenty of other options to choose from in the Ferry Building if that sounds like your idea of hell. Remember when I told you to wear those comfortable walking shoes for this San Francisco two day itinerary? I hope you had a hearty lunch because you’re going to need all the energy you can get. 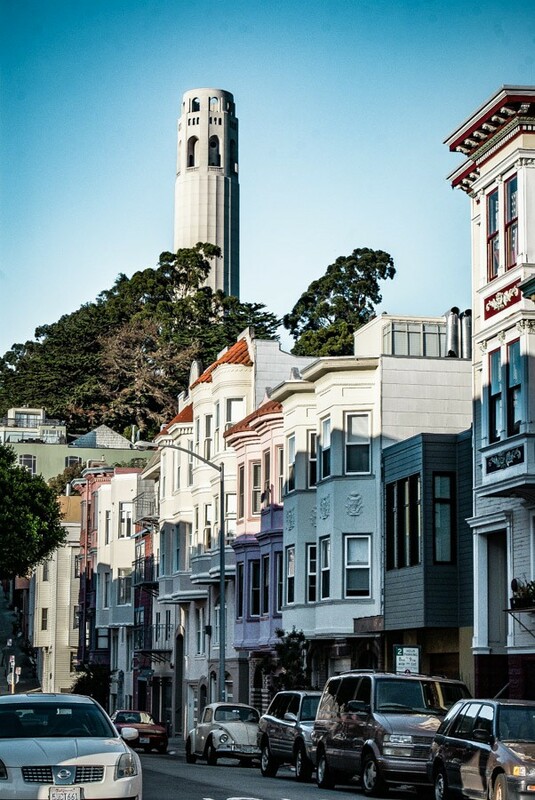 Climbing the Filbert Street Steps to Coit Tower can feel like a never-ending task. Your quads will ache and at some point you’ll wonder whether it’s all worth it. 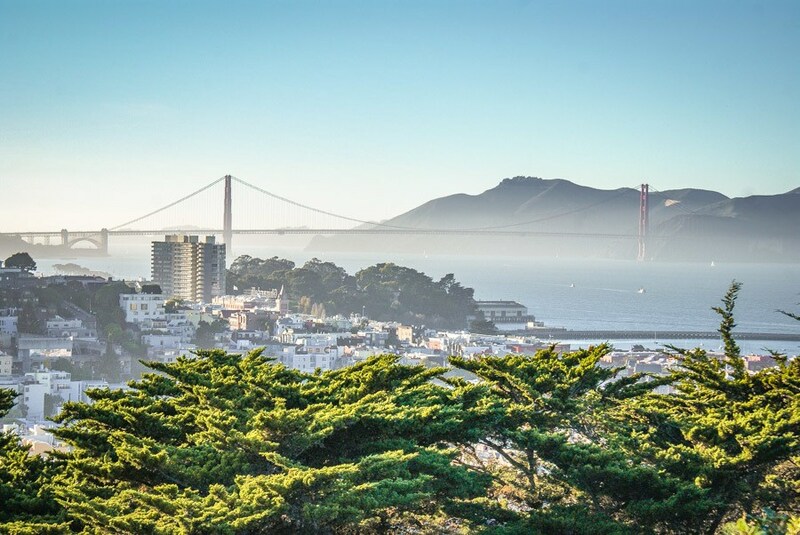 It is – the views from Coit Tower are some of the best in the city. Don’t forget to look back as you slog your way up either, practically each step comes with a better photo-opp. Alcatraz, the infamous prison on the rock. So many films have been made about it and set on it (Murder in the First is a personal fave) that it has one hell of a reputation. 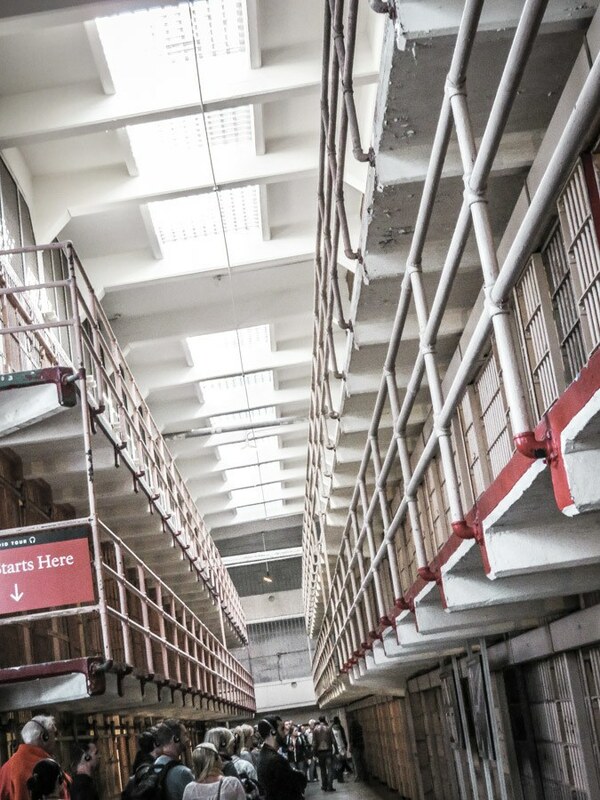 Alcatraz was a maximum-security prison. Impossible to get out of alive, but ridiculously expensive to maintain – the reason why it closed in 1963 and became a national park. 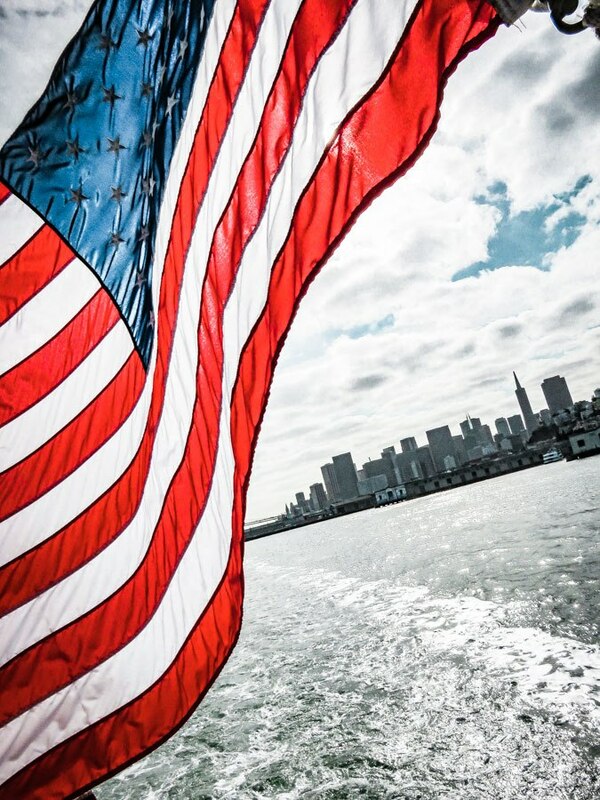 Hop on the ferry from Pier 33: the views of the the bay would be worth the journey alone. Sea lions in the heart of the city? Why not? The sea lions have been hanging out on Pier 39 for as long as anyone can remember. It’s a short walk from the pier where you return from Alcatraz and the cute picture opportunities are too good to pass up. Yeah, it’s very much on the tourist radar, but this Prohibition-Style cocktail bar is still one of the best places to transport yourself to the 1920s with an expertly-made cocktail or two (or three). In other words, tone it down on the volume side, as one of my rather irritating exes once told me when we popped in there one evening. Still bitter about that experience but the cocktails are great. London has Big Ben, New York has The Statue of Liberty and San Francisco has the Golden Gate Bridge. There’s no way that I could talk about seeing San Francisco in 2 days and not include a trip to the Golden Gate Bridge. Now, I’ll level with you. You can easily get to the bridge using public transport… but where’s the fun in that? The Golden Gate Park is the city’s green lung – a patchwork of wooded areas and wide-open spaces offering tantalising glimpses of the bridge before you finally arrive. You might want to catch a bus back into town though, it’s about an hour and a half walk to our next stop..
You know all those pictures you’ve seen of San Francisco’s ridiculously pretty and colourful houses? Let me introduce you to The Painted Ladies. 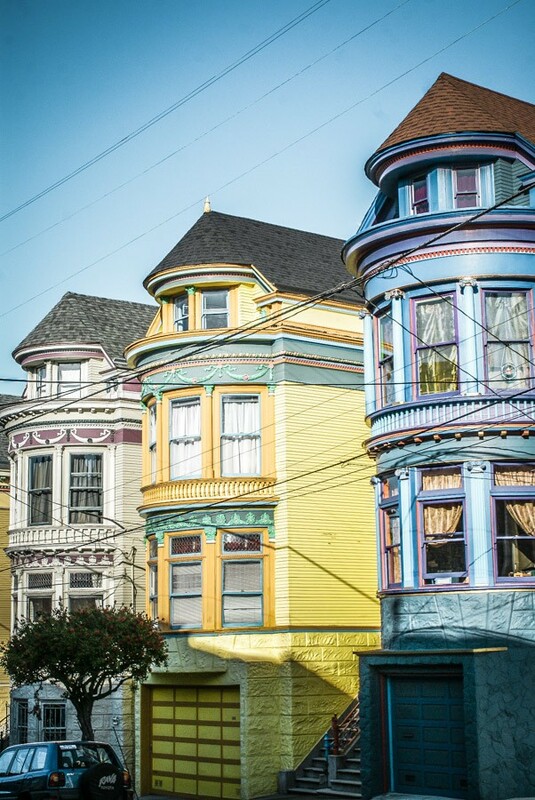 Decorated in an array of gorgeous colours, the ladies are one of the iconic San Fran photo opps. Don’t forget to take about a million pictures. Have you really seen somewhere if you haven’t put it on the ‘Gram to prove it? Exactly. Well done. The second morning of this 48 hours in San Francisco itinerary is pretty full on. You’ll be happy to hear that a) you’ve made it to lunch and b) it’s plain sailing from here. Mmmmn burritos. You think you’ve had good burritos. Scrap that, you think that you have had great burritos before. And then you go to La Taqueria. OMG, the burritos here are insane. Bursting with flavour, packed with tasty, tasty filling and big. Big is good. Hands up if you love street art? I totally do. 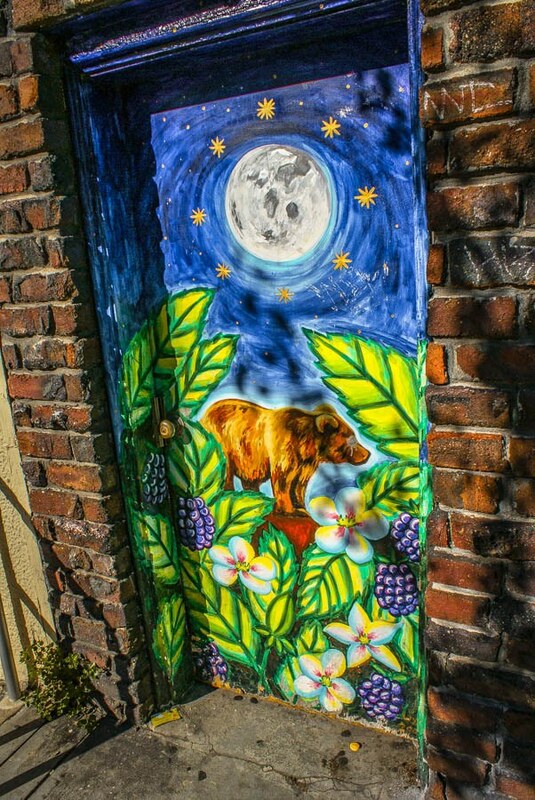 Urban murals, street art, pretty graffiti – whatever you want to call it, Balmy Alley in the lively Mission District is the place to go and see it street art in San Francisco. Balmy Alley might only be a block long but it’s a walk through the various artists’ damning political statements, joys and frustrations – there’s nowhere else quite like it. I normally wouldn’t tell you to go to the cinema when you are only in town for two days. I mean, you can totally watch the latest mega-action blockbuster in your hometown right? Right. What you can’t do is go to a sing-a-long movie screening in a Spanish colonial baroque inspired theater in the heart of the Castro, San Fran’s poppin’ LGBT neighbourhood. 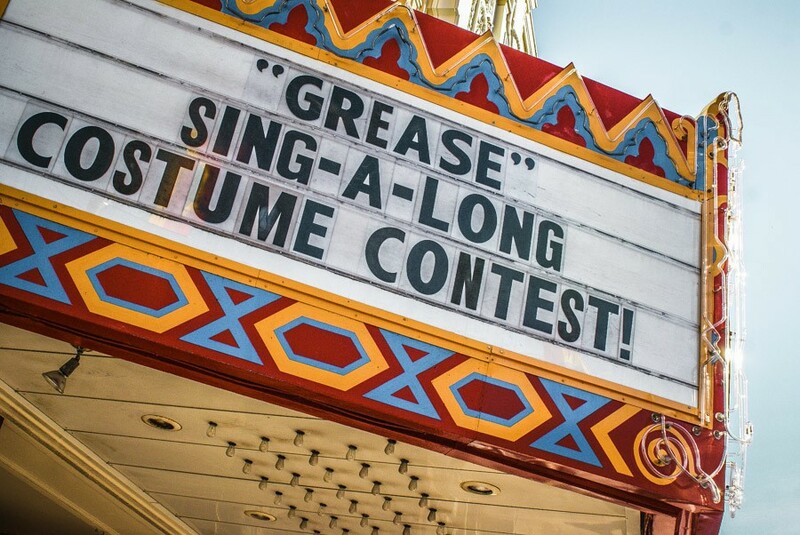 Book your tickets to the Castro Theater ahead. You won’t want to miss this. San Francisco is pretty easy to walk around (beware the hills though), so I’d say the best way to see San Francisco in 2 days is to just walk. Buuut, you also have to take a trolley car at some point – it’s pretty much mandatory. And it will save your calves some serious burn. If you don’t want to walk this itinerary, you can jump on the hop-on-hop-off bus tour to most of the destinations mentioned. Like all big cities, San Francisco has a lot of options when it comes to accommodation and areas to bed down for the night. I’ve chosen a few different districts that would work for this itinerary, with hotel recommendations for each one. Union Square is right in the thick of the action. Buzzing nightlife, lots of shops and great transportation links make this a great option for a short stay. Plus some of the city’s best restaurants and bars are in this area, so it’s a short distance to roll yourself home if you overindulge. Again, it’s touristy and prices are relatively high, but Fisherman’s Wharf is a great place to base yourself if you’re only in San Francisco for a couple of days. It’s central, not on a hill (!) and it’s easy to get to most areas of the city on foot or using public transport. You might not bag a spot in the pretty Painted Ladies, but Haight Ashbury is a hub of hipster coffee shops, boutique shops and laid-back hangouts. It’s also one of the best parts of town for accessing the Golden Gate Park nice and early on day two of your San Francisco 2 day trip. On the minus side, it is HILLY and it’s not so centrally located for walking to other parts of San Fran. The Mission might not be the most obvious area to stay in San Francisco, but it’s certainly one of the liveliest. With a heavy Latin-American influence, it’s packed with trendy (and not so trendy) bars, restaurants and taquerias. Not to mention some of the best street art in town. Essential items that you need to pack for your 2 day trip in San Francisco. You can fly direct to San Francisco from a number of national and international destinations. If flights are expensive, it’s worth checking whether it’s cheaper to fly to Oakland, which is only on the other side of the bay and easily accessible via public transport. This post was created in partnership with Expedia.com. I’m sure you can tell but all opinions within this article are very much my own. Thanks so much – really glad that you enjoyed it. I totally love ‘Frisco! I visited San Francisco several years ago for a friend’s wedding. I only was able to see a small part of the city but you’re really making me want to go back and explore more! So lovely. Thank you! I really hope that you get to go back and explore more soon – it’s such a cool city.